Police Accountability Project > Independent Investigations > UPDATE: Parliamentary report into police complaints system delayed. 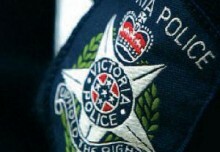 The Parliamentary Inquiry examining how police complaints about misconduct and corruption are handled in Victoria was due to report this month but this has been delayed after a series of high-profile incidents and scandals have beset Victoria Police’s integrity and internal complaint handling systems this year. 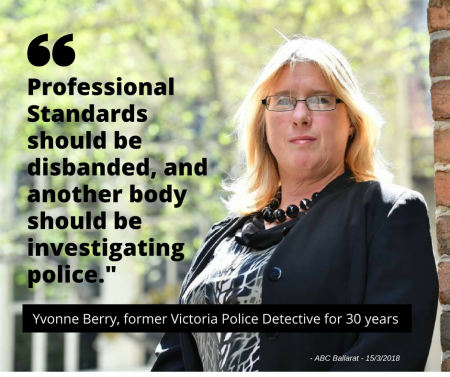 The Parliamentary IBAC Committee’s Inquiry into the External Oversight and Investigation of Police Corruption and Misconduct in Victoria will now table its report the week starting 4th September 2018. During the public hearings, in February, then Victoria Police Assistant Commissioner Brett Guerin, head of the force’s ethical standards body resigned in disgrace after evidence of his online racist and offensive trolling behaviour was uncovered by Fairfax investigative journalists. Mr Guerin had been due to present to the IBAC Committee the morning he resigned. His place was taken by Assistant Commissioner Luke Cornelius at the last minute. 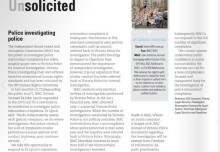 The next month, IBAC released it’s extensive audit of 142 review files produced by Victoria Police after critical incidents involving its officers over a 12 month period and found that police had failed to consider evidence that should have been included, such as witness statements, in more than half of the cases. “The audit identified concerning deficiencies in Victoria Police’s oversight, which require immediate attention,” IBAC commissioner Robert Redlich QC said in a statement. April saw an avalanche of news stories from people who have experienced police abuse covered by an extensive Fairfax / ABC joint investigation. The series of stories prompted an unprecedented public outcry and provided a shocking glimpse into the failings of Victoria’s police complaints system. Four police officers were suspended after the videos were published, and one was reassigned to alternative duties. IBAC is continuing to investigate. International media, petitions of over 23,ooo people, joint media conferences, letters and much public commentary called upon the Andrews Government to ensure the effective and impartial investigation of complaints against police. This Age Editorial provides a fitting summary. April also saw media reports that an officer Sergeant Nick Konstantinidis, who is alleged to have engaged in racial profiling and harassment of African-Australian youths was moved to Victoria Police’s ethical standards unit, only to be moved out following protests from his complainants. In 2017, Konstantinidis was deployed as an investigator in Professional Standards Command, the division that investigates public complaints of alleged police misconduct. In May, Victoria Police then dealt with another significant blow to public trust when The Age revealed that Victorian police falsified more than 258,000 breath tests over 5½ years after the Transport Accident Commission found an anomaly in the data late last year. 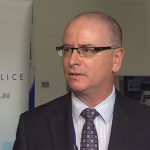 An external investigator, former Victoria Police chief commissioner Neil Comrie, has been appointed to probe the scandal. IBAC commissioner, Redlich expressed concern that no police officers reported the misuse of breath test devices and said that evidence of a culture that allowed fake tests to occur over time without being detected was “deeply concerning”. “Victoria Police officers have a clear obligation not to turn a blind eye to any police misconduct, and to report it to Victoria Police or to IBAC so it can be thoroughly dealt with,” he said. Professional Standards Command was also criticized in May for taking almost 12 months to lay charges against Ballarat police sergeant David Berry, who admitted to punching Ms Mitchell in May last year, but claimed his actions were in self-defence. Added to this we may soon see the outcomes of the investigation into the police shooting at Inflation Night Club last year and an eventual report into the conduct of former AC Brett Guerin’s conduct, in his role as the head of Professional Standards Command. What will the Inquiry make of all this? Each of these incidents above would have proved entirely relevant to be examined by the IBAC Committee in the course of its inquiry and may well have resulted in a justifiable delay in finalising its report to parliament. Regardless of the reason for the two month delay we hope that committee members have taken these revelations and the insights into the current broken system of police complaint handling into consideration. A full list of 54 written submissions to the Inquiry can be found here. Almost 90 per cent of publicly available submissions — including those from Victorian Legal Aid, Youthlaw and various community legal services, have called for a robust independent complaint investigative system. 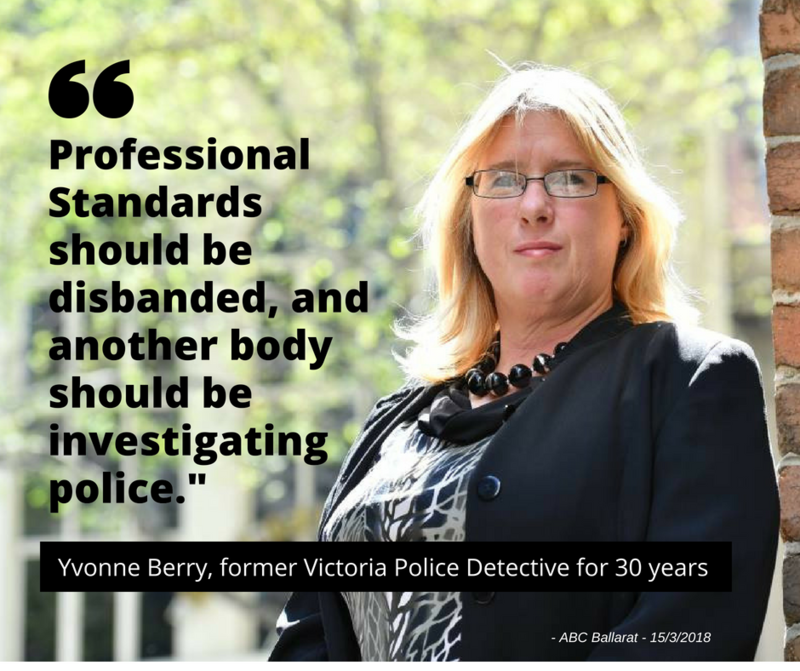 This inquiry was held in response to concerns raised by the community and organisations such as ourselves over many years and we thank the IBAC Committee for taking on this important task. Once the report is tabled in the Parliament, an electronic copy will be available for download here. “Victoria’s anti-corruption watchdog has warned that it can’t adequately investigate police misconduct because it has no powers to search or arrest potentially crooked cops, leading to some cases falling through the cracks. In startling evidence given to state MPs behind closed doors, new IBAC commissioner Robert Redlich QC says this “extraordinary state of affairs” effectively allows suspects to lie to investigators, destroy evidence, or not provide a record of interview. “A Ballarat police sergeant has been charged with unlawful assault after punching his next-door neighbour, leaving her with a black eye and a broken nose. “Professional Standards Command has been criticised for taking almost 12 months to lay charges against Mr Berry, who admitted to punching Ms Mitchell in May last year, but claimed his actions were in self-defence. “An officer alleged to have engaged in racial profiling and harassment of African-Australian youths was moved to Victoria Police’s ethical standards unit, only to be moved out following protests from his complainants. Sergeant Nick Konstantinidis was deployed last year to Professional Standards Command, the division that promotes high ethical standards within the police force and investigates public complaints of alleged police misconduct. 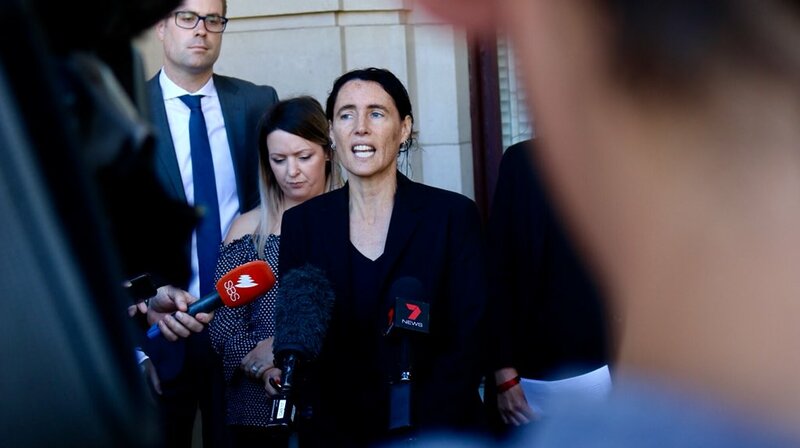 “Solicitor Tamar Hopkins, lead author of the Police Stop Data Working Group report commissioned by the Flemington & Kensington Community Legal Centre, told reporters on Wednesday the police could not be trusted to investigate similar incidents, emphasising that not all of them were captured on CCTV. “Victoria’s corruption watchdog has widened its investigation into online trolling by disgraced assistant commissioner Brett Guerin to review the former police ethics boss’ actions on racism complaints…. “Complaints about racist remarks made by the disgraced head of Victoria Police’s own Professional Standards Command were lodged more than a decade ago, but Brett Guerin continued to be promoted through the ranks, The Age can reveal…. 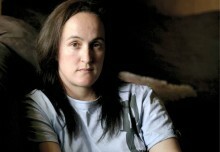 The court heard it all began when two police officers, including Senior Constable David Jenkin, intercepted Corinna Horvath and her boyfriend for driving an unroadworthy vehicle in March 1996.